in Creative & Tech with tags Facebook Canvas Ad, Facebook messenger, Hanes, Michael Jordan Both comments and trackbacks are closed. 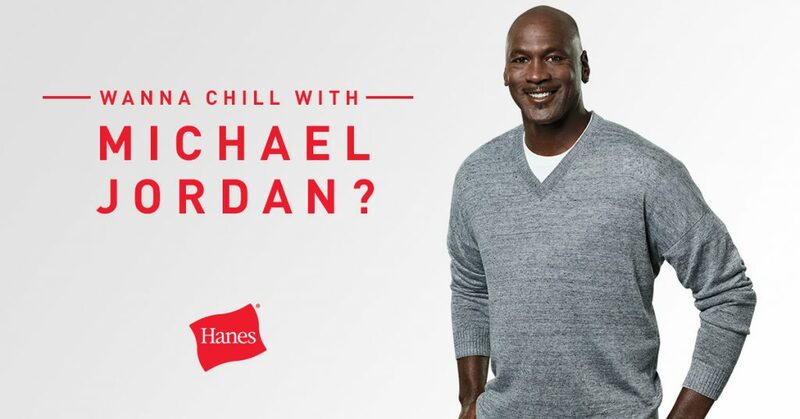 This last week, Hanes launched a major interactive social effort with their longstanding spokesman, Michael Jordan that challenges fans to see if they are chill enough to chill with MJ. 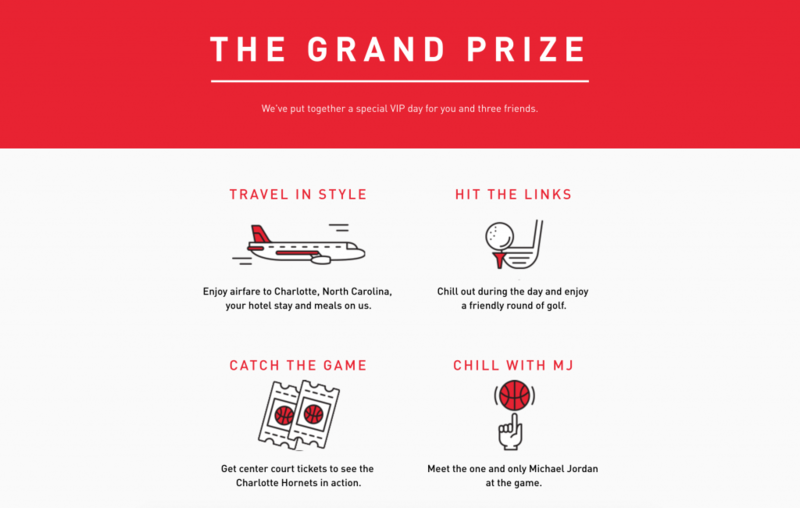 The integrated “Chill Like MJ” campaign, created in partnership with 360i, deploys a first ever “choose your own adventure” style Canvas Ad on Facebook, Snap Ads and a Facebook Messenger prank video featuring MJ himself to galvanize fan participation in a massive online sweepstakes to chill like MJ for the day. The grand prize winner will get the once in a lifetime chance to meet the man himself, during an all-expenses paid trip to North Carolina, for a day on the golf course and center court seats at a Charlotte Hornets game. Supporting the apparel retailer’s X-Temp line, the new digitally-led campaign gamifies the sweepstakes with a never before executed Canvas Ad unit tactic that creates a “choose your own adventure” style experience, leading users into different scenarios MJ finds himself in. Does he help the guy struggling on the bench press or just keep walking through the gym? Does he steal the bride’s spotlight or help get her groom back on track? Hanes’ X-Temp technology is designed to adapt to a wearer’s temperature and activity, aiming to keep them cool in all situations. So, in each Canvas Ad scenario, the viewer is encouraged to choose what they think someone as chill as MJ would do and based on their selection, the experience guides them to the next setting and ultimately to the sweepstakes homepage. The campaign is being further supported by Snap Ads and a Messenger prank video, which uses in-app video stitching technology to make it appear as though the user is actually hanging with Michael Jordan. 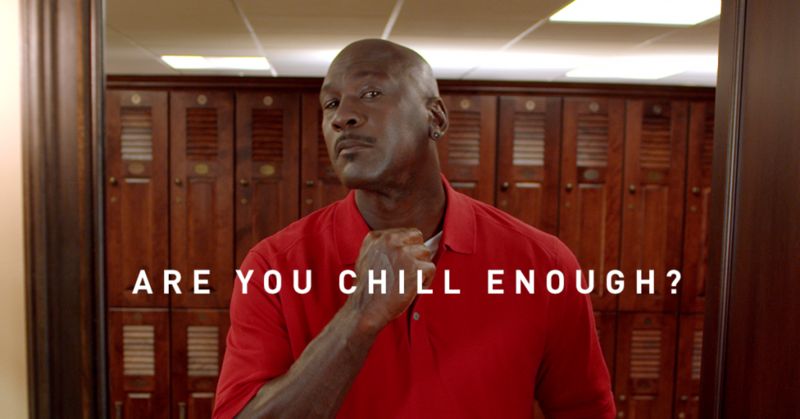 Together, all ad units bring fans to the sweepstakes homepage where they can enter to “Chill like MJ” for the day. The immersive digital effort cleverly aligns the cooling technology effects of Hanes’ X-Temp line with Jordan’s chill persona and challenges fans to find their inner chillness. Want to chill like MJ? Enter to win on the sweepstakes homepage here.